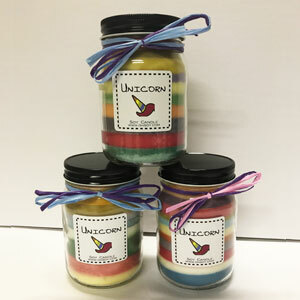 Home > Specialty Candles > Unicorn Rainbow Soy Candle 15oz. Beautiful multi-color rainbow Unicorn soy candle. Enjoy an assortment of scents & colors. Each candle is different.